As reported here, Lucian Copeland has spent his entire professional life as an engineer working on or in the vicinity of a laptop. Modern computers are, of course, incredible tools, giving us access to information and communication techniques that would have been unthinkable 20 years ago. This also means a wide variety of potential distractions, and for creative writing pursuits, he decided to design and build a machine — called SPUDwrite, or Single Purpose User Device — that would let him write, and only write, on a non-glowing e-paper screen. One problem with this type of device is that e-ink refresh rates— which can be in the two-second range—are much too slow to accommodate even a moderately fast typist. Instead of attempting to hack the e-ink screen, Copeland added a small LCD underneath the main display, using it to quickly show and change the few characters that he’s working on at one moment. 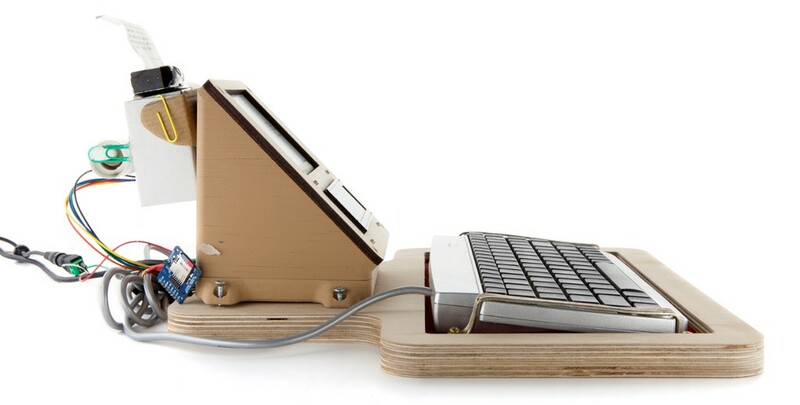 A second innovation comes in the form of a small thermal printer attached to the top. This produces physical mementos of what he’s thinking at a certain time, or can be used to allow physical editing with a pen. While a Raspberry Pi would be the seemingly logical choice to run a device like this, the SPUDwrite instead uses Mbed firmware on a $10 STMicroelectronics Cortex-M4 processor. This allows ported Arduino code to run the system’s various components, while taking advantage of the M4’s much greater computing power. 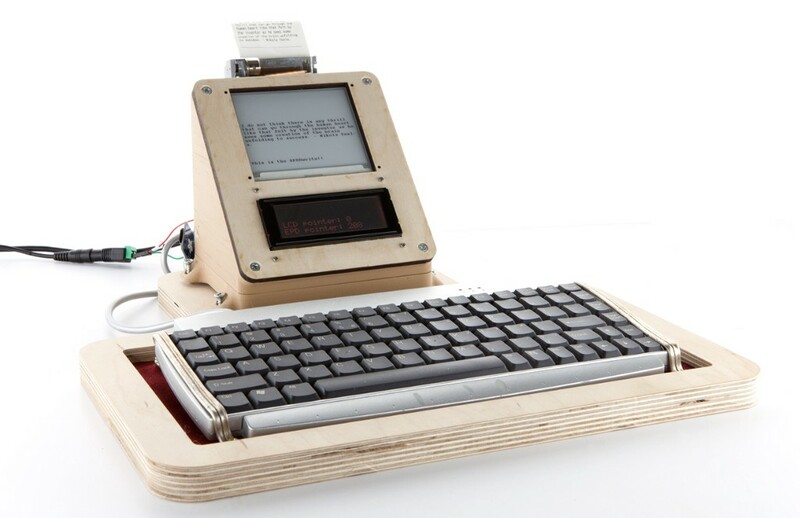 Distraction-Free E-Ink Typewriter Comes with a Few Unique Tricks was originally published in Hackster Blog on Medium, where people are continuing the conversation by highlighting and responding to this story.